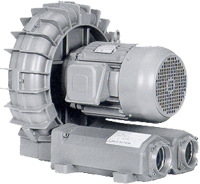 Engineering sales of heavy duty industrial fans blowers, high temperature oven plug fans and blowers, replacement to Garden City fans. Sales of high temperature batch oven plug fans, thermally insulated centrifugal blowers and high temperature furnace axial plug fans, as well as high temperature heat centrifugal fans and industrial oven exhaust blowers, commercial blowers fans, high temperature blowers, pressure blowers, OEM fans, roof and wall fan ventilators, process and OEM fan blowers, custom built ventilator fans, blower ventilators, dust collectors, combustion pressure blowers, oven circulation heat resistant plug fans. Jet Engine and Power Plant Turbine Manufacturing or Servicing: Molted Salt tanks are often used here to descale metals coming out of hot furnaces. Pickling and cleaning of titanium which is used in Jet engine parts also utilize acid baths as does nickel plating.